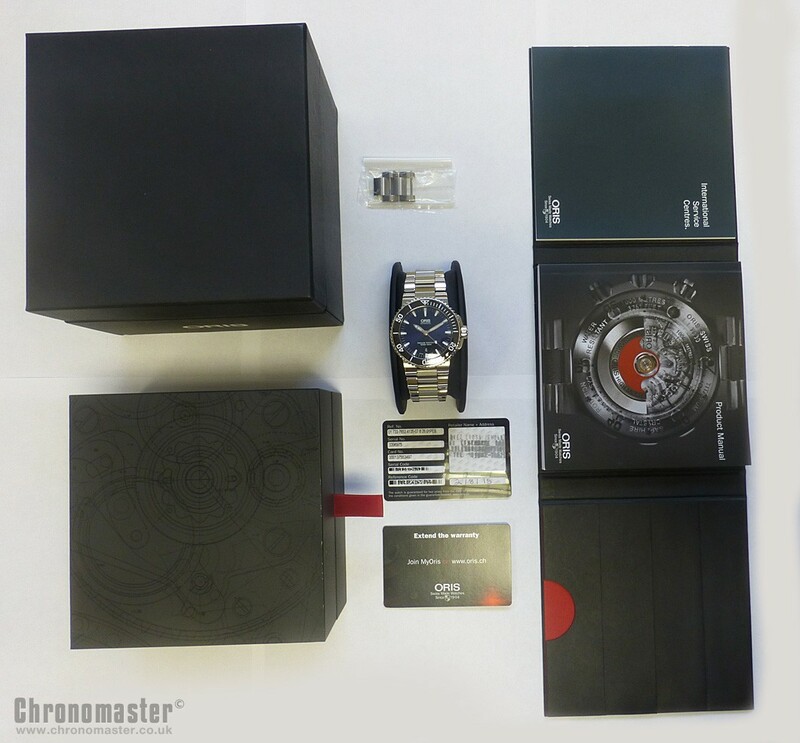 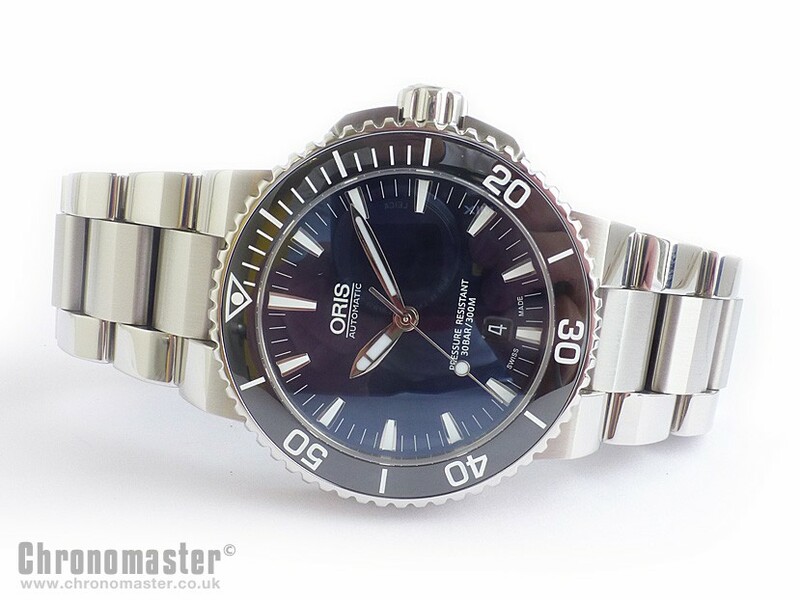 Mint condition Oris Aquis divers wristwatch, waterproof to 300 metres. 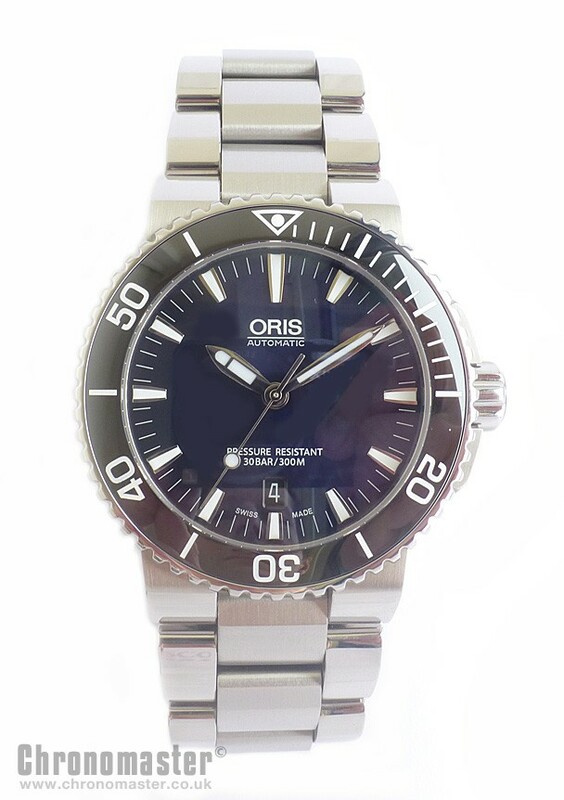 It was originally purchased from authorised Oris dealers, Market Cross Jewellers in Skipton in August 2015, so just 3 months old when taken into stock, with the balance of the original 2 year warranty remaining. 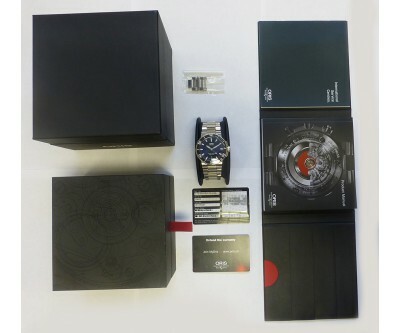 It comes complete with all boxes, instructions, papers and warranty card. 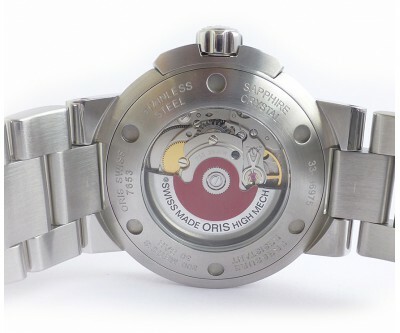 Oris are an established Swiss watch manufacturer and have long been associated with quality watch making since 1904. 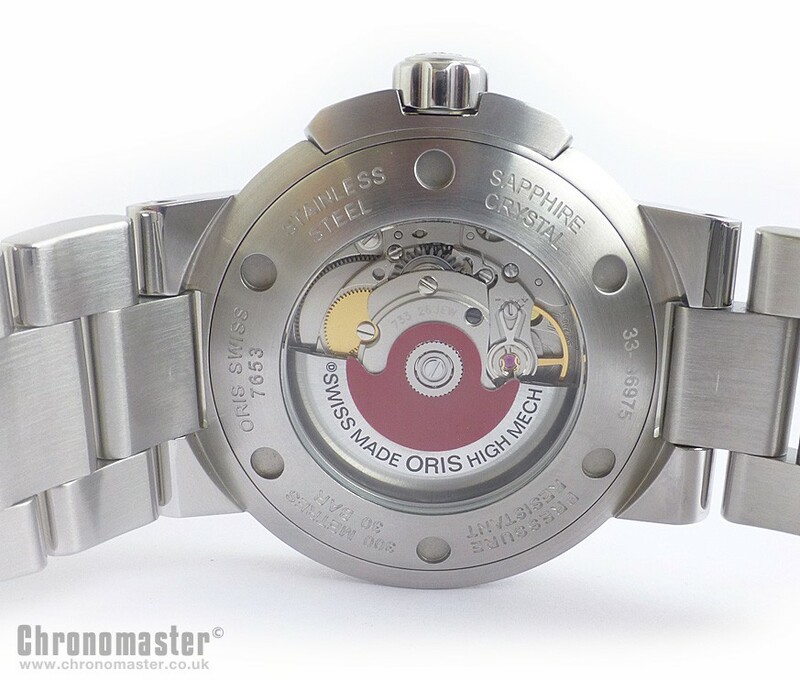 They have been an innovative company, and highly successful in the mid range, and one of the few manufacturers that you will still see in the high street jeweller that focus solely on mechanical rather than quartz mechanisms. 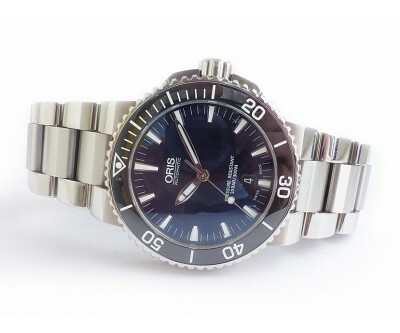 This watch is truly unique, and there is no other watch out there that looks like this. 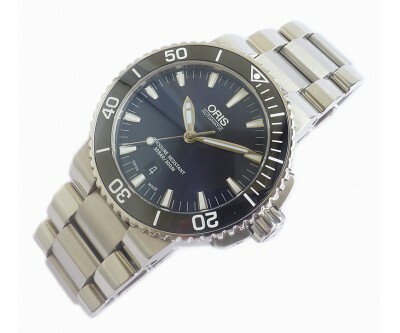 Has a push button quick release deployant clasp. 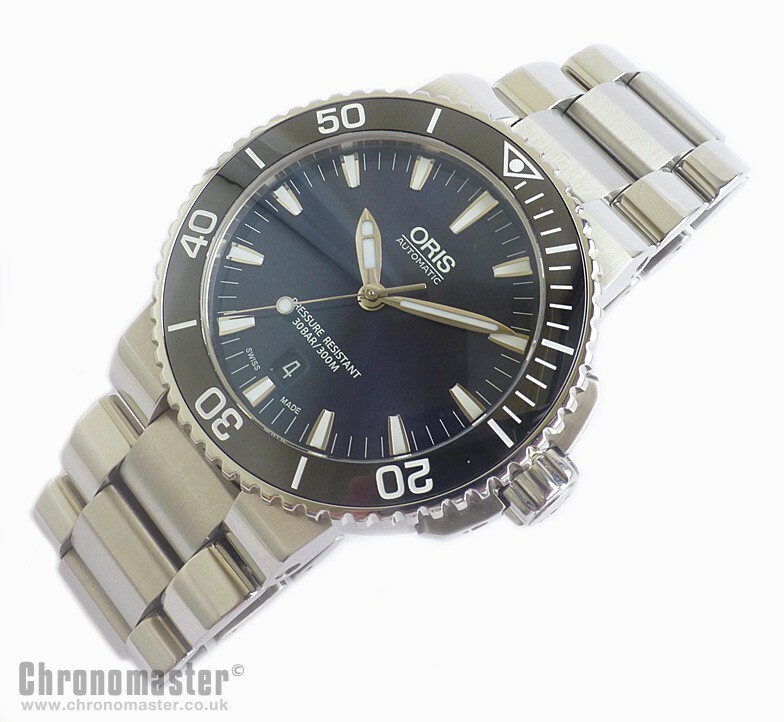 The crown is screwed down and it has a sapphire crystal, and sapphire glass display back. 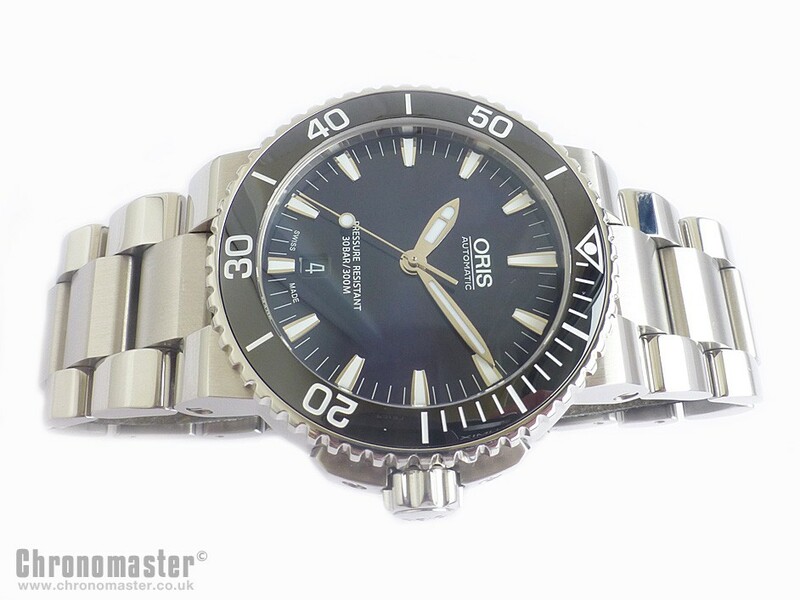 Beautiful blue dial with blue rating bezel, very distinctive looking watch with central sweep seconds hand and date at the 6 position giving a nice balanced dial. 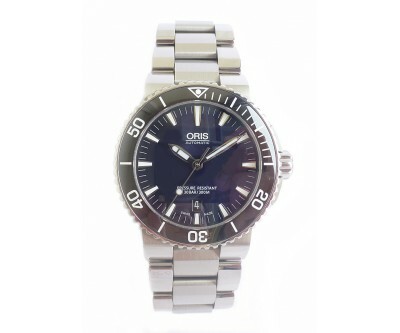 Has a sturdy uni directional ratcheted rotating bezel. 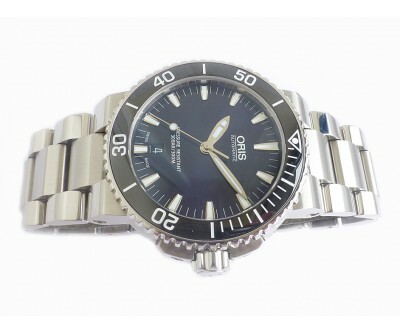 Dimensions are 43 mm excluding crown, 47 mm including crown and 50 mm lug to lug and 13 mm thick.